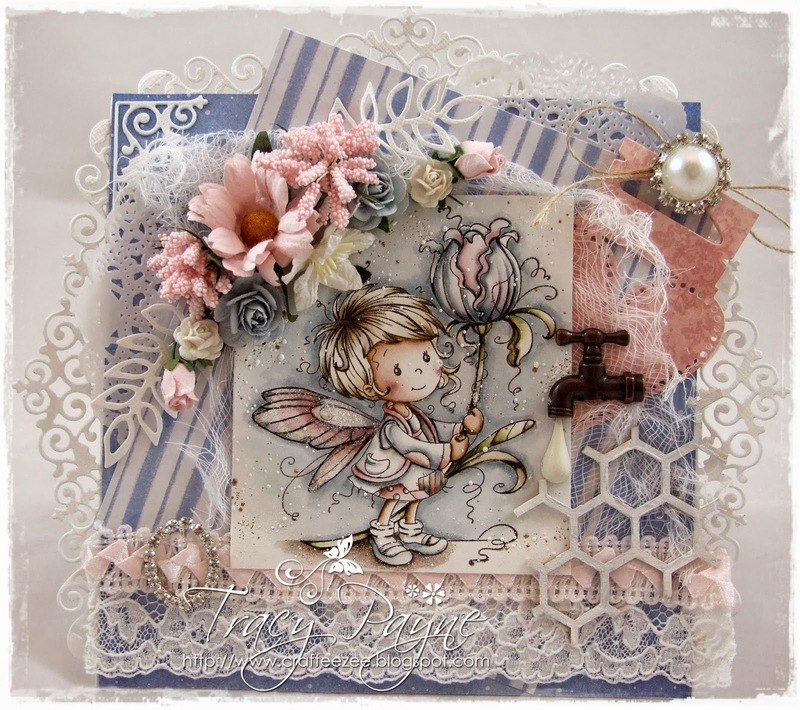 Today I would like to share with you my card featuring the gorgeous Wee Stamps by Whimsy Stamps, I sooooo love these cute little images. Her name is Maya and you can find find her HERE. 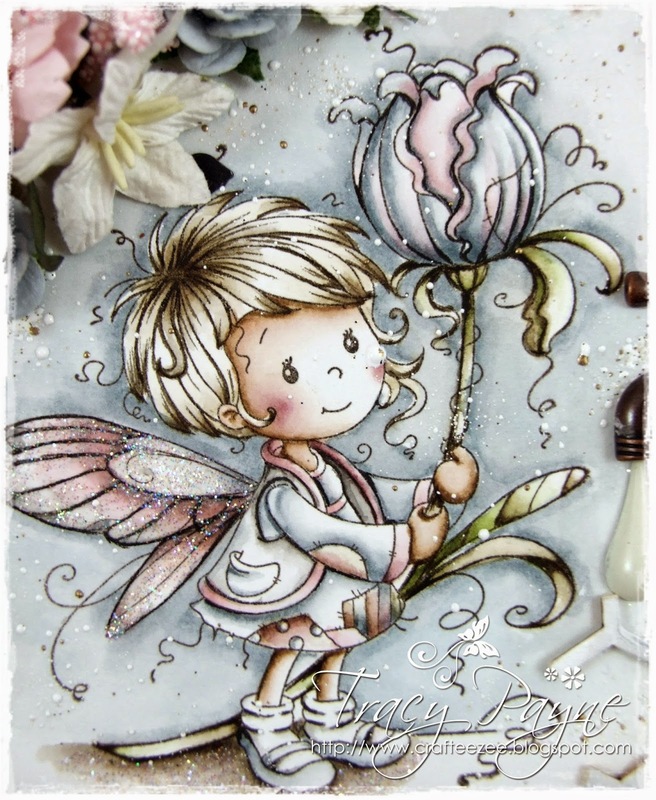 Don't forget Nikki currently has the Marianne Design Dies on sale at the moment and I have used one of the leaves dies, always handy to have. The papers are from the New Bebunni Christmas 6x6 paper pad. So as you can see not just for Christmas but there are some gorgeous papers in there that match the new Bebunni stamp range. Here's a close up of Maya, she's coloured in distress inks, which you can purchase from BunnyZoe HERE. Nikki carries the pads, markers and re-inkers, so a one stop shop. I have also used some star dust stickles on her wings which can be found HERE.